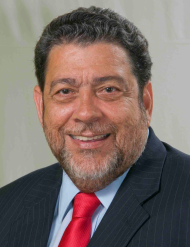 Prime Minister Dr. Ralph Gonsalves will be addressing the Vincentian Diaspora at a public meeting set to take place in High Wycombe. On Wednesday, April 27, the Prime Minister will be the feature speaker at the event, which will be hosted by the High Commission for St. Vincent and the Grenadines in association with the Wycombe Multi-Cultural Association. The venue is Bucks New University, High Wycombe Campus (The Gateway Building, Queen Alexandra Road, High Wycombe, Buckinghamshire HP11 2JZ). Limited car parking is available on the campus. Visitors are asked to pull into a temporary 20 minute parking bay then proceed to reception to pay £2 for a parking permit. Escorts will then direct visitors to where they may park for the duration of the meeting. The meeting will begin at 6:30 pm with light refreshments being served. For more information please call 020 7460 1256. The Prime Minister will also be attending the Royal wedding of Prince William and Kate Middleton on Friday, April 29. His wife, Eloise, will accompany him. Gonsalves is one of over 300 government officials who will attend the nuptials, scheduled to take place at Westminster Abbey.